In two years, the crypto-market has experienced astronomical growth not just in numbers but also market valuation. The sudden increase in value and adoption has opened several opportunities for anyone willing to ride the bandwagon. Cryptocurrencies are moving beyond reliable and independent ecosystems of money transfer to form efficient and creative token economies. For instance, the cryptocurrency version of crowdfunding, Initial Coin Offerings (ICOs) are quickly turning breakthrough ideas into real-world businesses. In comparison with 2016, the number of ICOs increased three-fold during the first three quarters of 2017 along with the volume of investments, which grew 20 times to cross $2 billion. However, even with such impressive terms of growth, the crypto-market is still not as efficient as desired. The evaluation of the market shows significant volatility, which can be attributed to the lack of knowledge and methods for the correct estimation of value. One way to tackle this problem of market efficiency is to provide support for those market participants who take the risk of drastic changes in the market, liquidity for exchange and a safety cushion for the retail investor. In the spirit of diversification and healthy competition, Cryptics plans to solve the aforementioned problem by advancing forecasting algorithms which can be further used for trading crypto-assets. How exactly will Cryptics achieve this? Efficient and stable markets are profitable to everyone for sure. 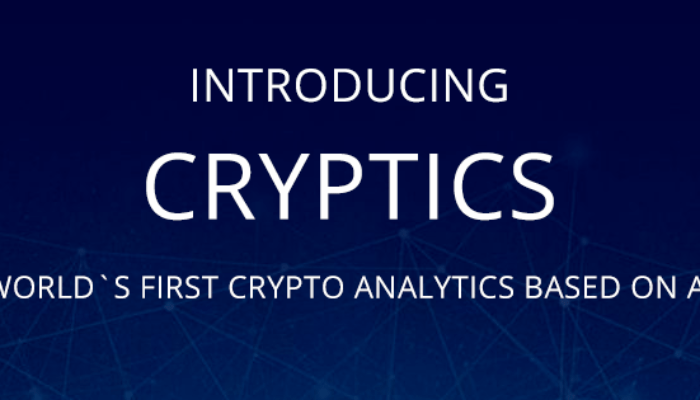 Cryptics is going to increase the safety and reliability of crypto-market by providing transparency and understanding of inner mechanics to traders and investors, as well as a platform that connects all of them to each other and to the scientific community. As a result, miners will be able to get more leverage by providing their services to the Cryptics community and investors will get effective tools for short-term and mid-term investment opportunities. Cryptics platform combines four modules in such a way that all facets of the issues described above are tackled in an integrated manner. This includes; forecasting engine, auto-trading engine, fund infrastructure, integration with research and academic community. Cryptics will first introduce an algorithm focusing on predicting changes in the valuation of crypto-assets around the world, both in respect to fiat currencies and cryptocurrencies. These predictions will be made available to any user of the Cryptics platform either for private purposes or for building a trading strategy and create a fund on the Cryptics platform. The auto-trading module then enables the user to execute the forecasts on crypto-asset exchanges of their choice immediately. This module will have an embedded application that acts as a constructor of trading strategies, which will enable new Cryptics users to get acquainted with the services offered by the platform and gain information that will help them combine these services into profitable trading strategies. Cryptics will also provide traders with an opportunity to run strategies on the platform which will be connected via API to various crypto-exchanges. With time, the platform will continue investing in robust and stable infrastructure systems to ensure fast and stable connectivity to the market anytime. This will facilitate the creation of an ecosystem where a platform user buys a forecast and follows a diversified strategy developed by a trader, who will hence build his own private fund, and act as a fund and portfolio manager. The trader’s profitability and risk profile will be outlined to each user to support decision making. The team of developers at Cryptics will maintain mutually beneficial cooperation with the scientific community to help foster quick implementation of breakthrough developments in order to improve their services. Cryptics is also considering the creation of a non-profit platform for the academic community to share knowledge and experience through free webinars, courses, etc. Financial Structure and Token Details. The Cryptics utility token will be ERC20 compliant. 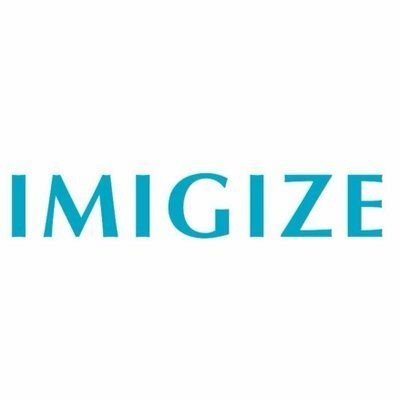 It can be purchased against either ETH or BTC during the token sale. The token will be used for internal transactions between all parties within the Cryptics platform. For instance, a token owner can exchange CRYPTICS token for market forecasting subscription. The tokens will also be used by the traders to operate their private funds on the platform. Such relationships between traders and investors will be transferred to blockchain and regulated by Ethereum smart contracts, without any need for a third party. Since the platform’s profit will depend on the user profits, Cryptics will remain committed to providing access to reliable predictions and the best possible environment for its users. 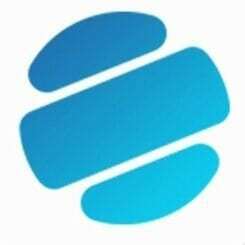 The token sale is intended to provide funds which will be used for the platform development and to attract the best talent to make the product as reliable as possible. The ITO will start during the second quarter of 2018. A total of 66,000,000 CRYPTICS tokens will be on sale, with each token priced at 0.001 ETH.